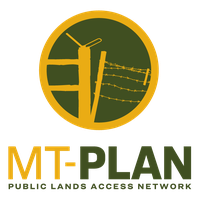 The Board of Adjustment will meet with Department of Natural Resources and Conservation attorneys for a training session on Montana’s open meeting laws and the Montana Administrative Procedure Act. The Board will also discuss scheduling its next meeting and will have a preliminary discussion regarding the schedule for the American Prairie Reserve’s Petition for Variance proceeding. December 18, 2018, 10:00 a.m. Agenda subject to change. Visit http://dnrc.mt.gov/public-interest/meetings-and-events for the most updated meeting information. The Montana Department of Natural Resources and Conservation will make reasonable accommodations for persons with disabilities who wish to participate in this public meeting. For questions about accessibility or to request accommodations, please contact Laurie Zeller at 406-444-6669 or lzeller@mt.gov as soon as possible before the meeting date.